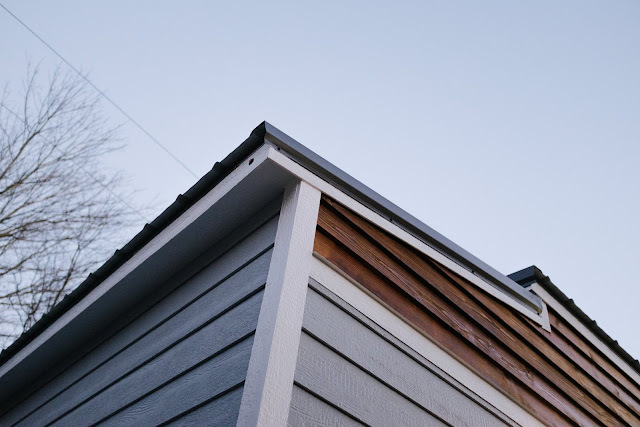 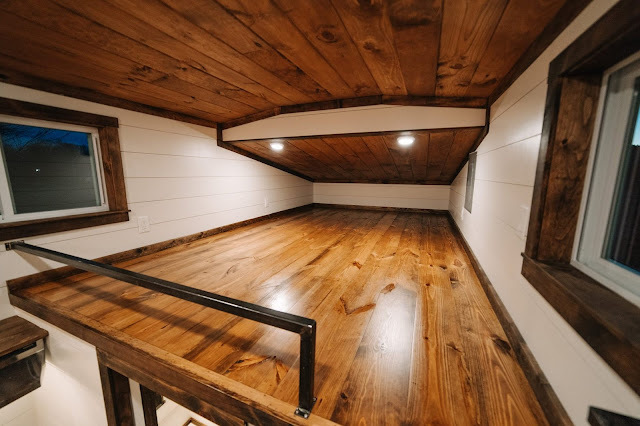 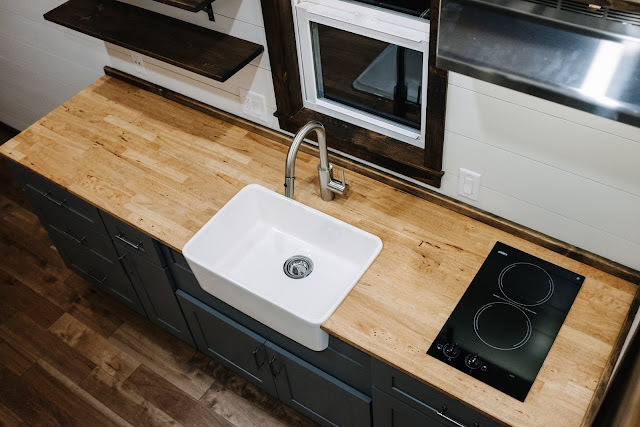 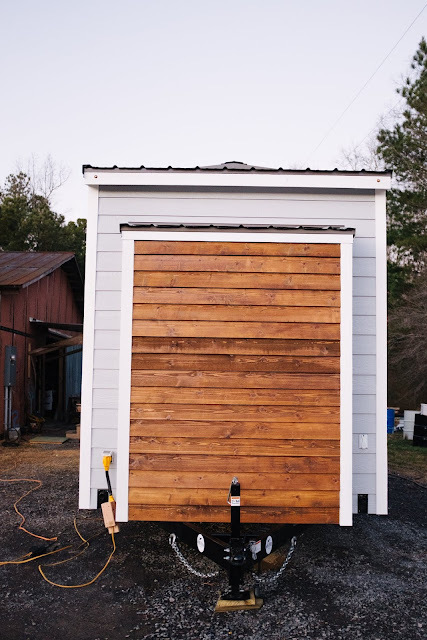 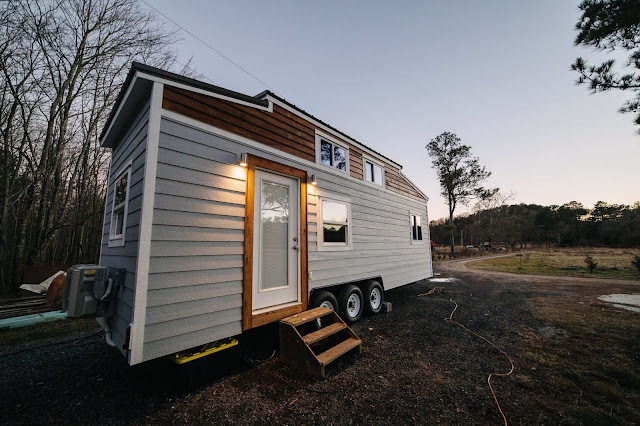 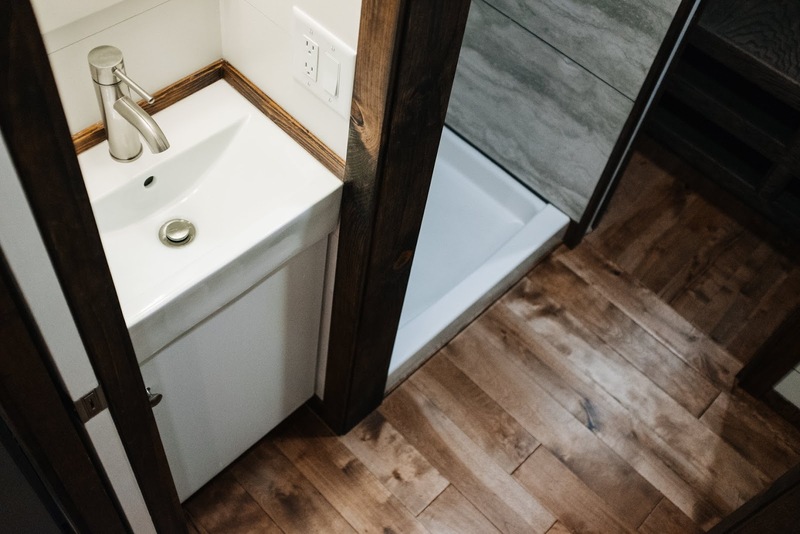 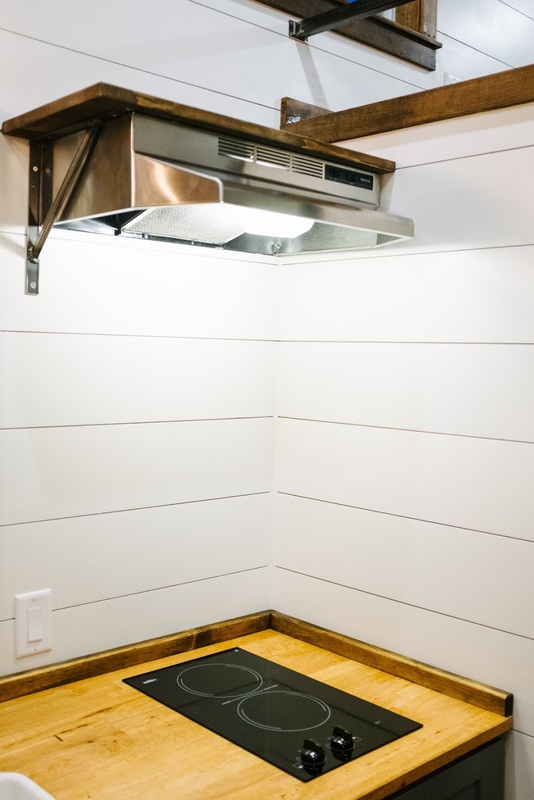 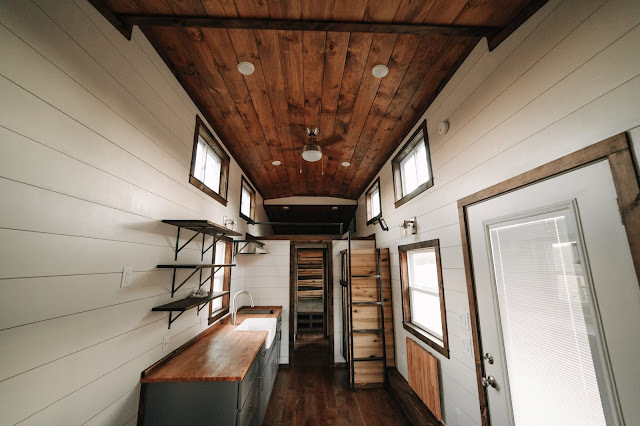 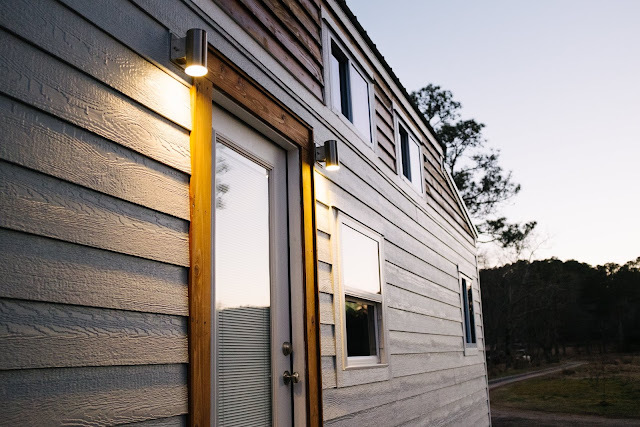 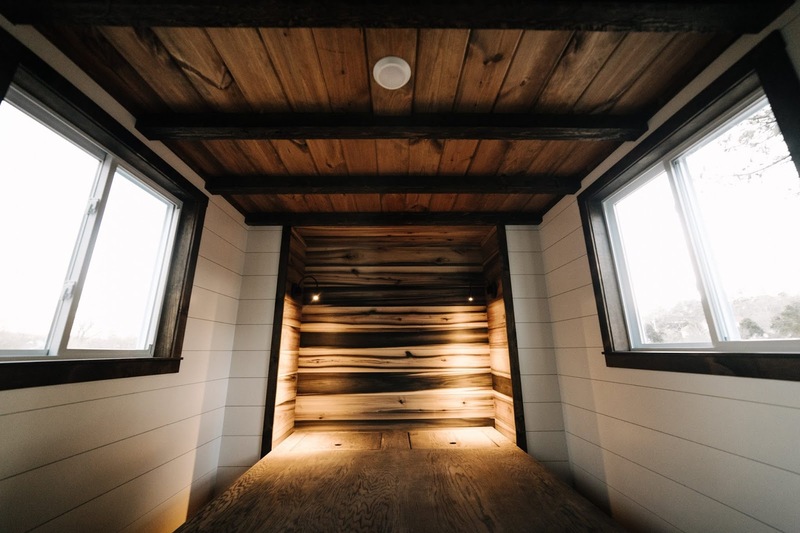 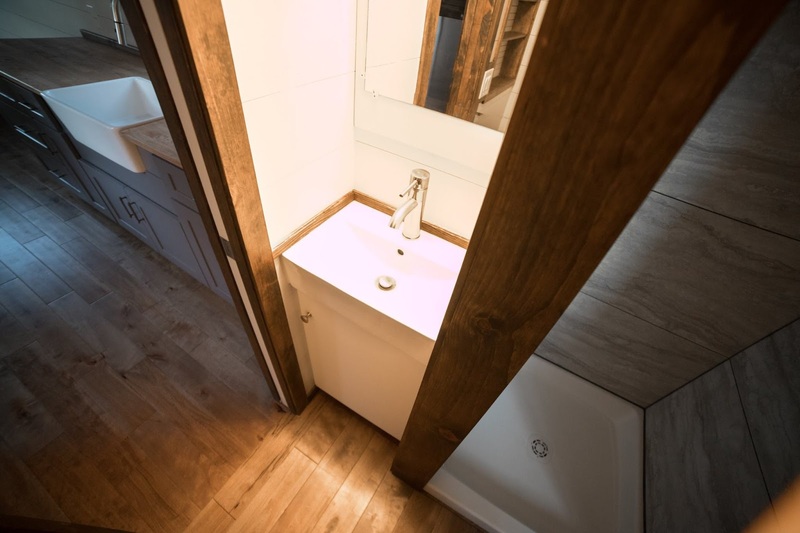 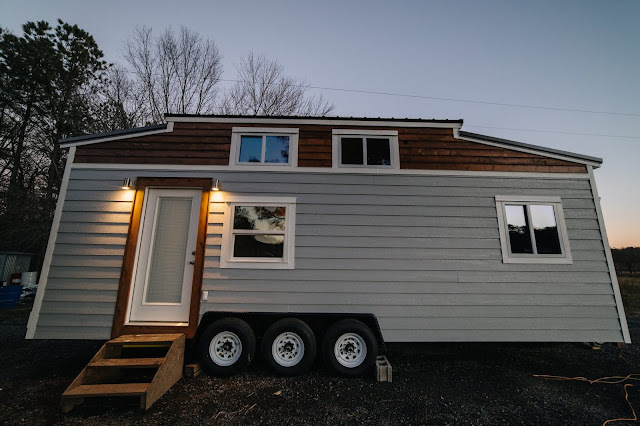 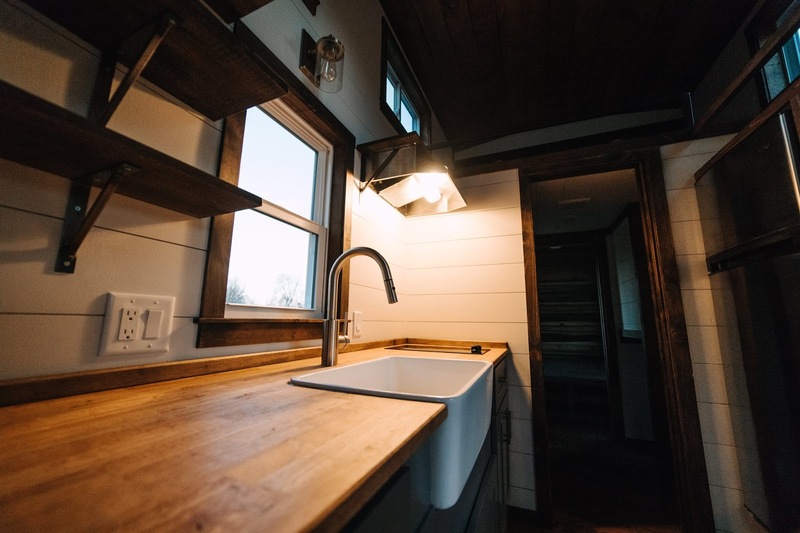 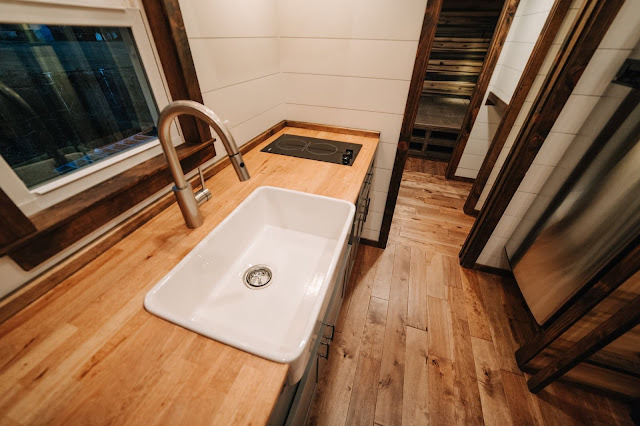 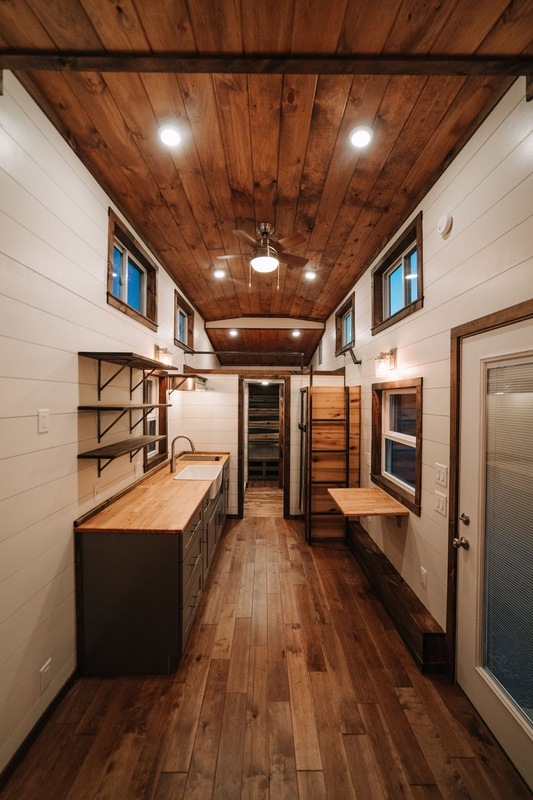 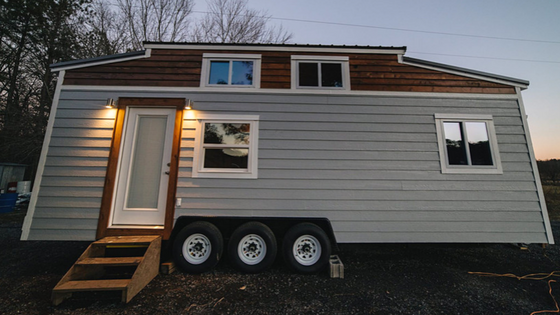 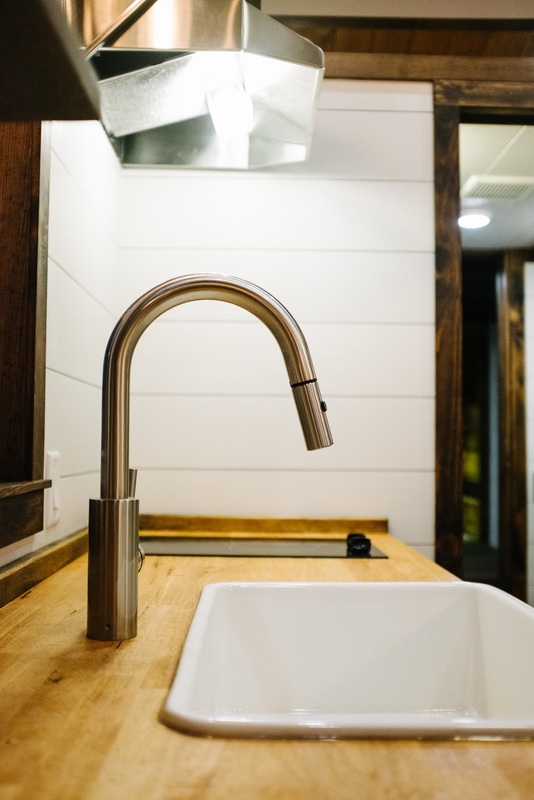 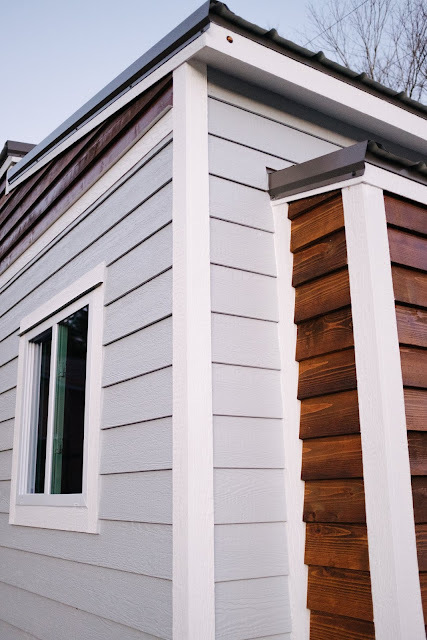 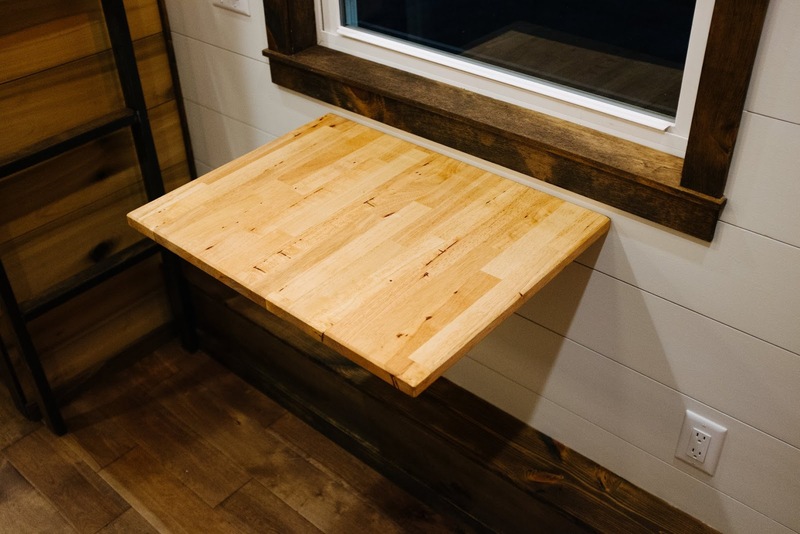 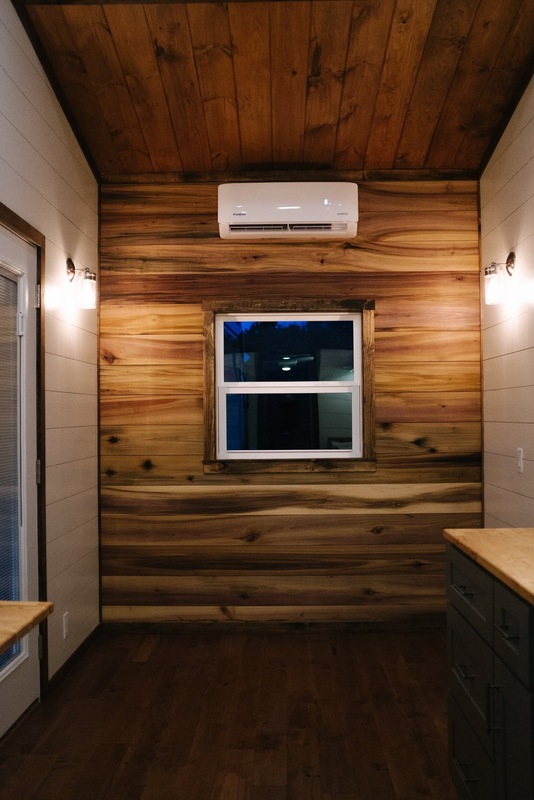 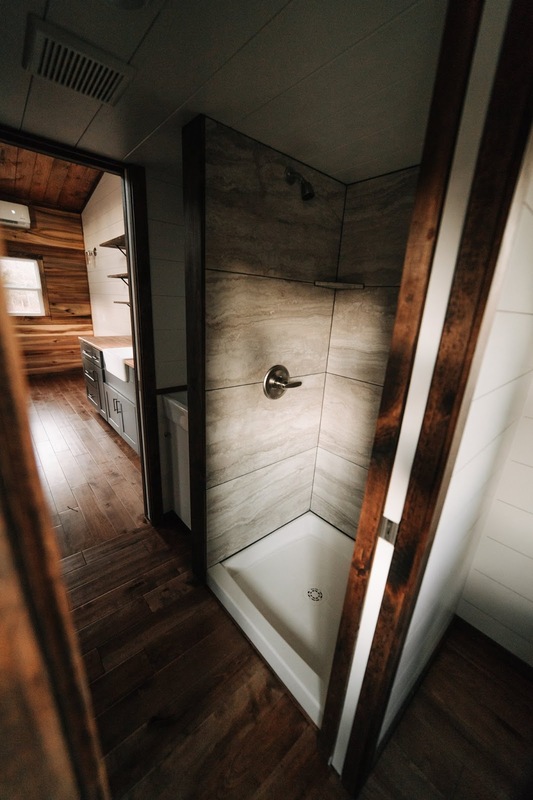 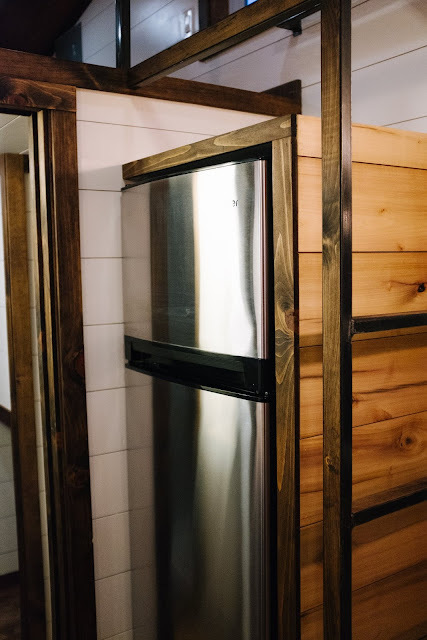 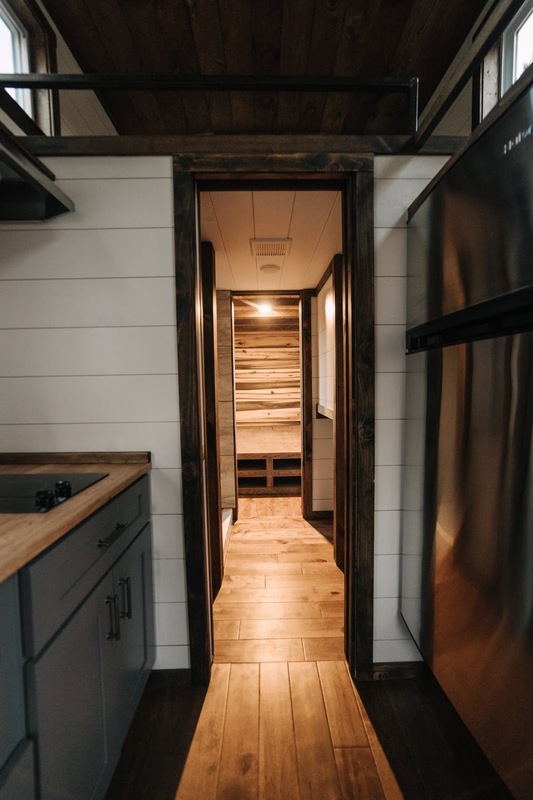 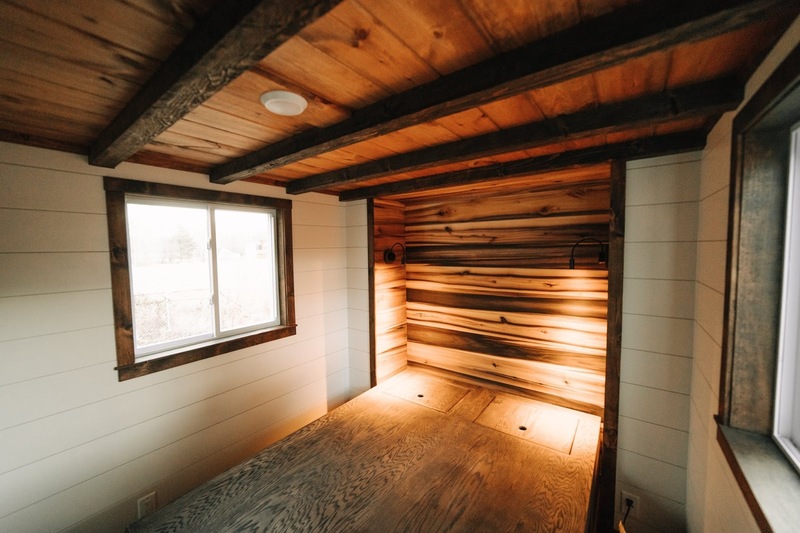 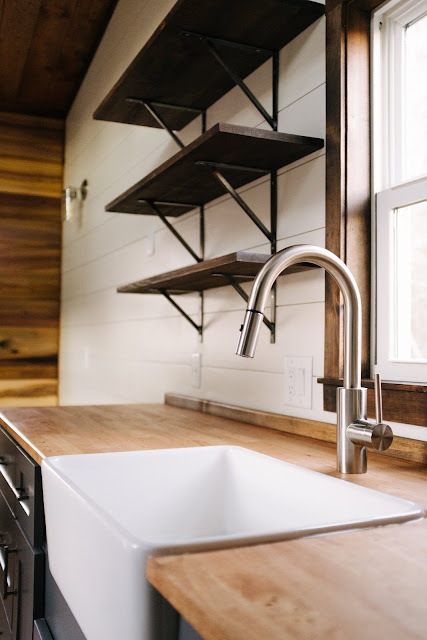 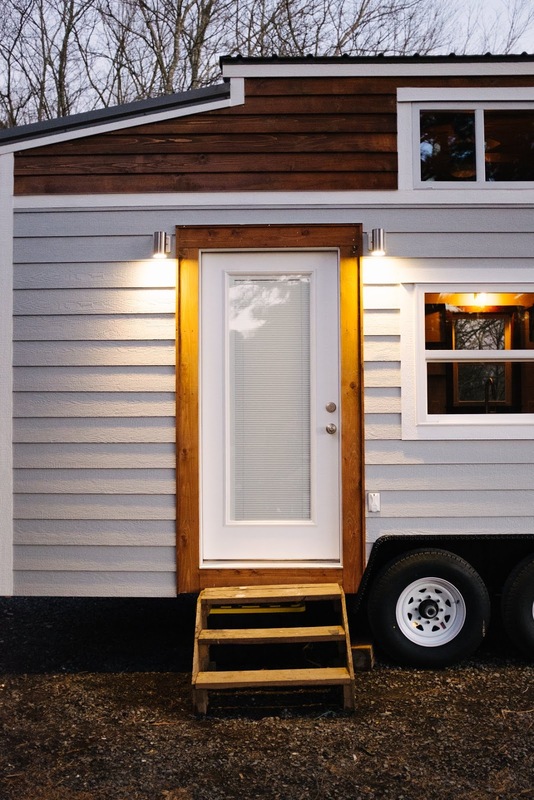 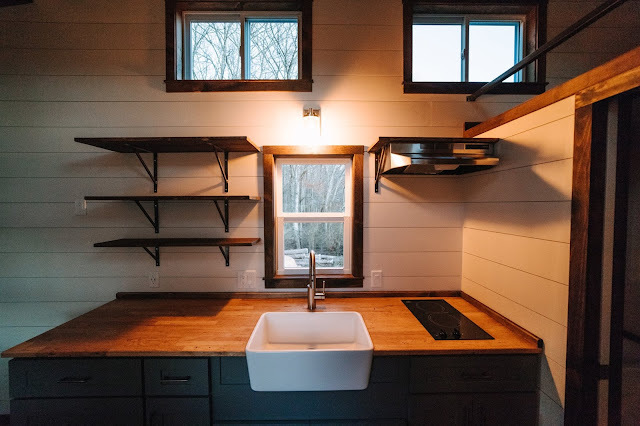 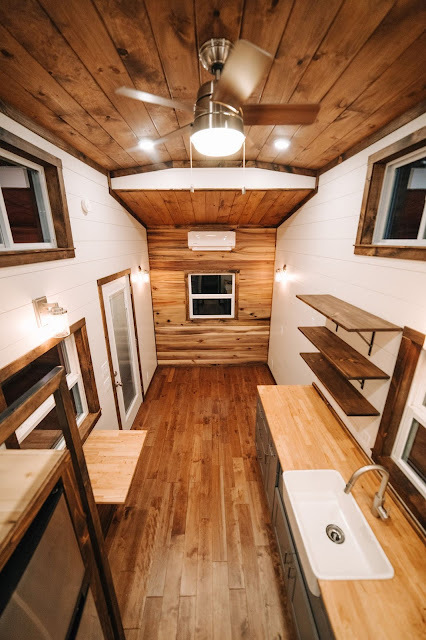 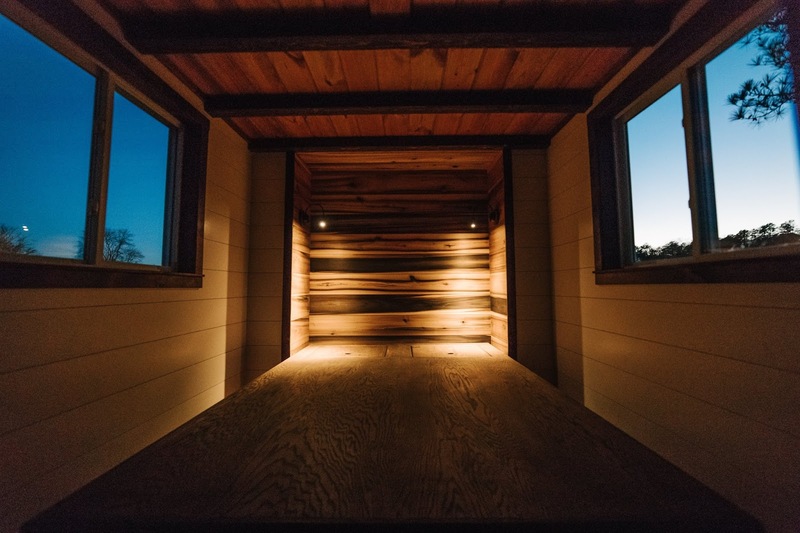 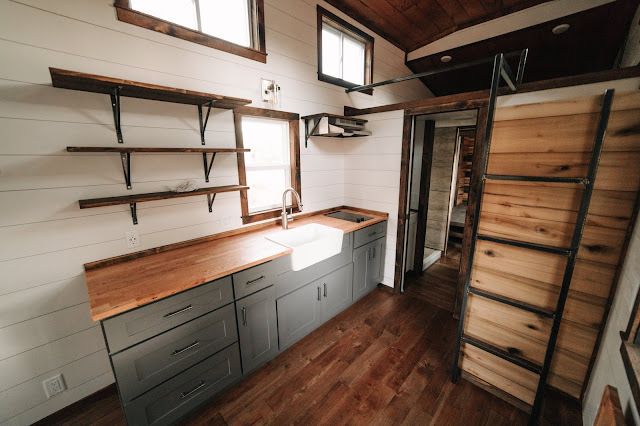 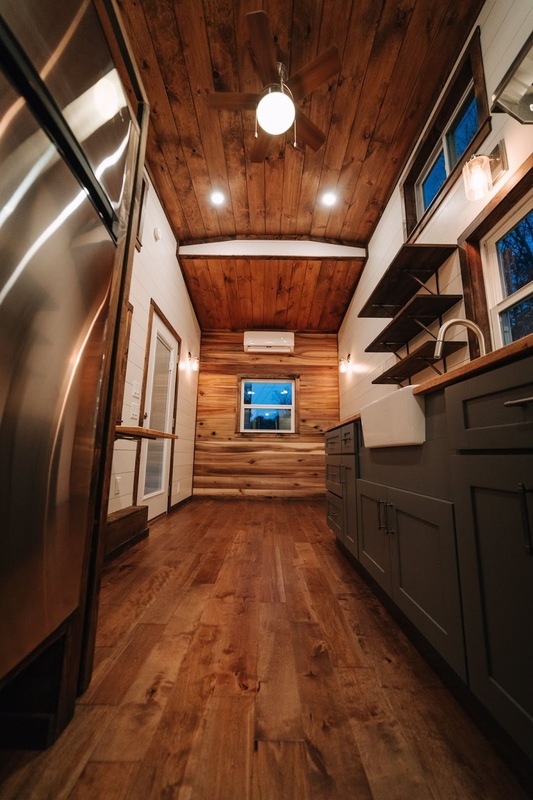 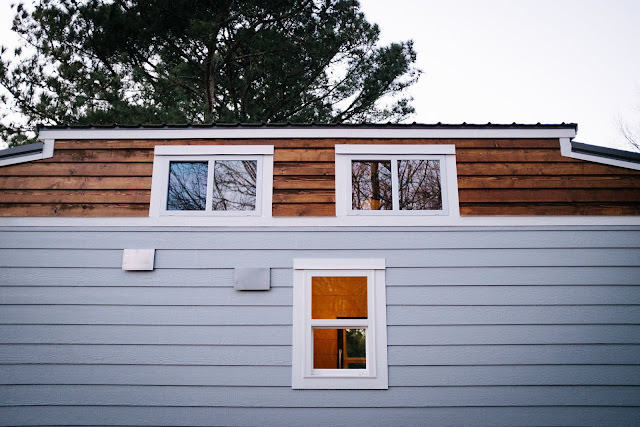 A modern-farmhouse styled tiny house on wheels with a ground floor bedroom! 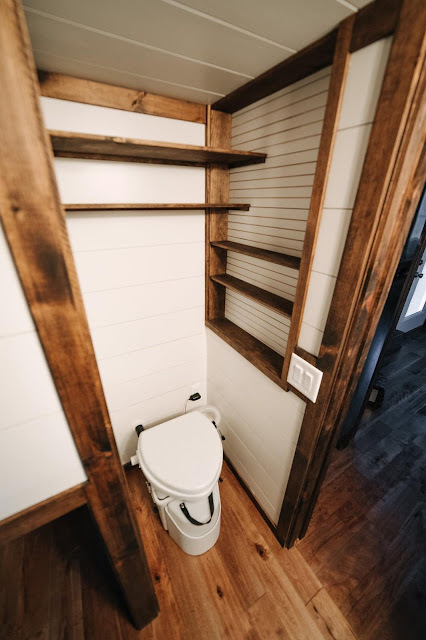 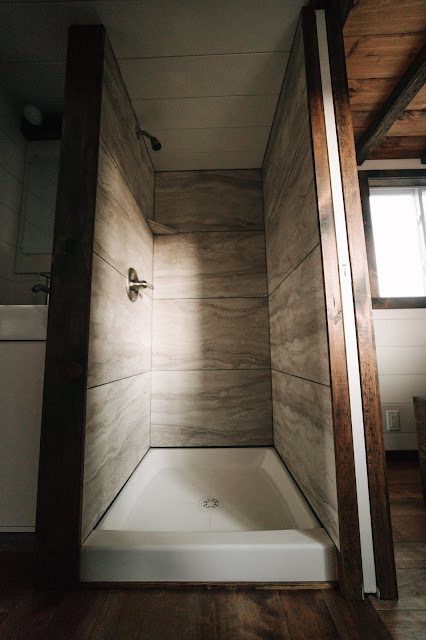 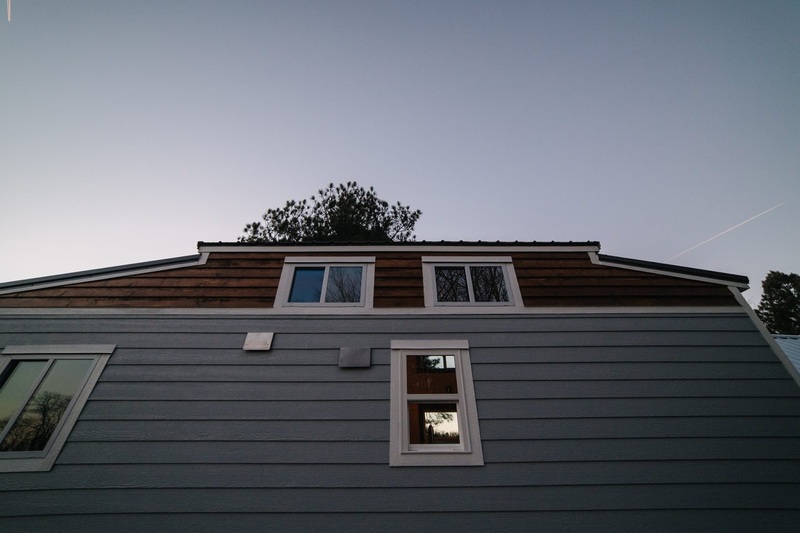 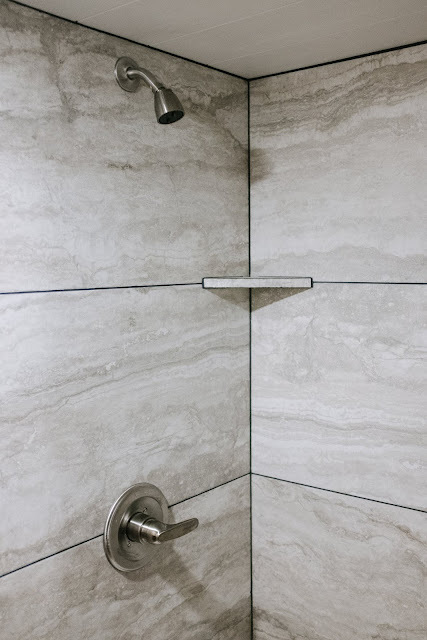 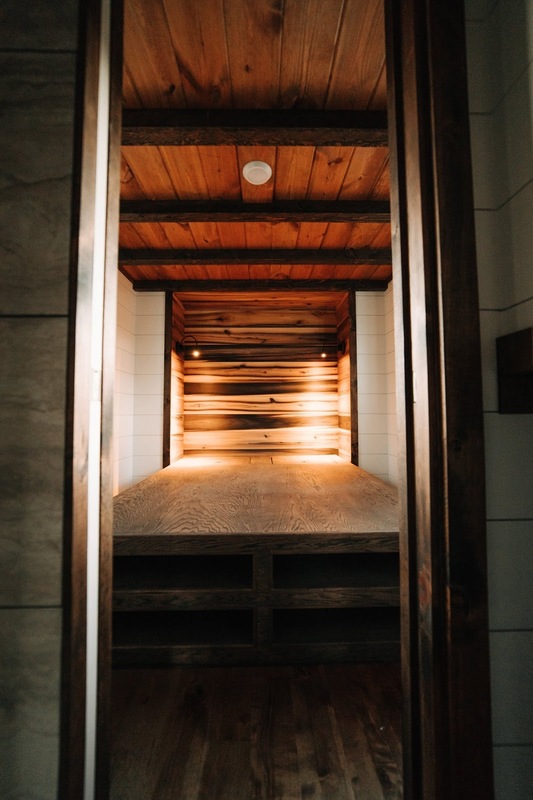 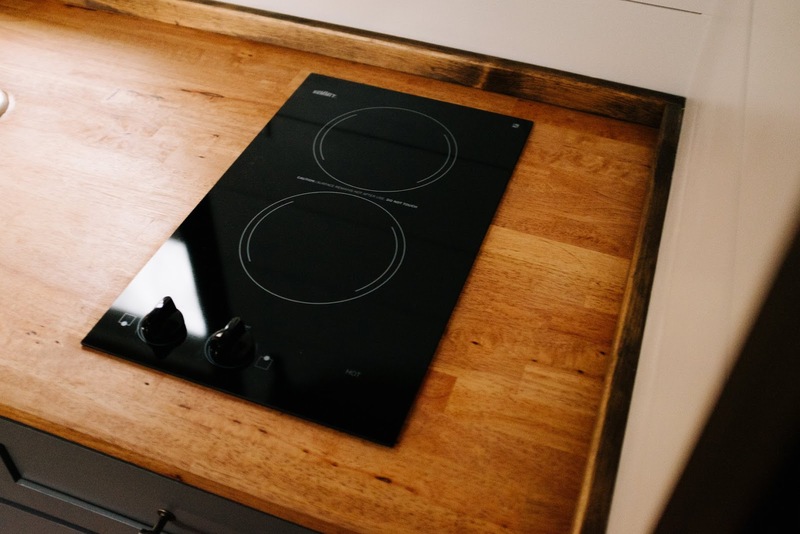 Enjoy form and function with a thoughtful layout that makes the most out of limited space! 28' x 8'6" x 13'6"